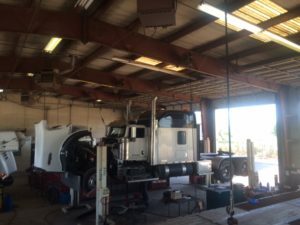 Trust Ferguson Truck Service Center for efficient, cost-effective truck repair by ASE Certified mechanics in our state-of-the-art equipment in 22 service bays. Ferguson Truck Center is known for getting every truck repair right the first time. That’s because every mechanic is ASE Certified, has access to state-of-the-art diagnostic tools, and brings years of experience to get your truck repair done on time. When you search for Truck Repair Near Me, the last thing you want to find is more surprises. That’s why, once the problem is diagnosed, we get prior approval before performing your truck repair. Maybe that’s why Ferguson Truck Center is the approved service and repair provider for most fleet maintenance companies and holds preferred status with those who use that designation. To help you get trucks serviced quickly, Ferguson Truck Center features an Express Lane. When your vehicle needs minor service or repair, we can move you through quickly.